We are continuing to test with Windows 10 as the builds change. 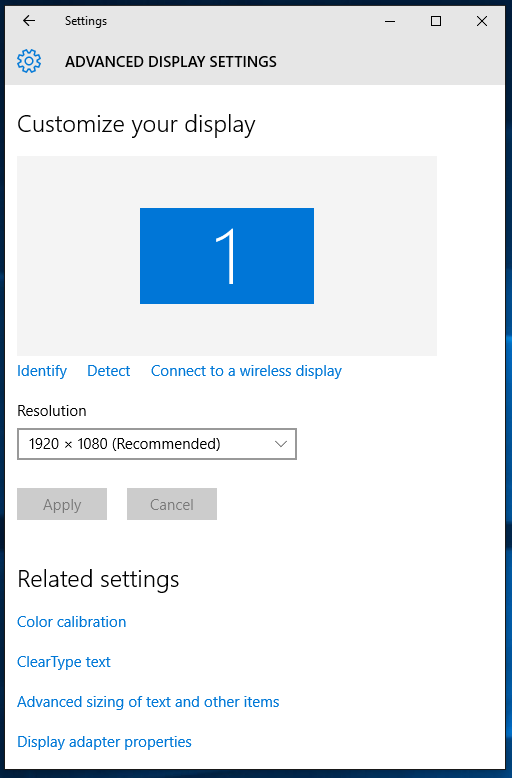 Latest testing done November 2015 on build 10586.3. 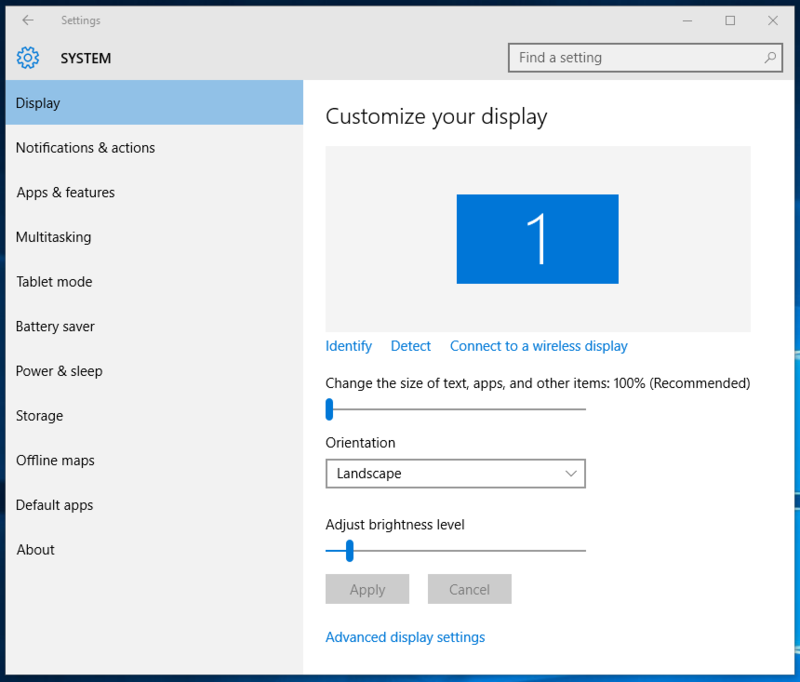 Repeat Signage V4 installs and works with Windows 10. If you have previous versions of Repeat Signage, the please upgrade to the latest version of Repeat Signage V4. The upgrade is free of charge and your current serial number will continue to work. To download the latest version, then visit our Downloads page. Compared to previous versions of Windows, there is a difference in the way that Windows handles text sizing. If you use any text sizing above the default 100% text size then you will need to read the following. In Windows 7 and 8, if you have a very high resolution screen, such as True HD 1920x1080 pixels, then programs tended to look smaller and you had the option of adjusting the text size in Windows. Normal text size is 100% which can be increased to 125% (or above) to make the text size bigger and therefore easier to read. This is important on smaller screens such as 17" True HD monitors, such as on many new notebooks. 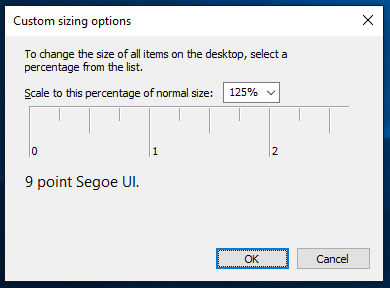 All you had to do was to open Windows Display Settings and change the text size. and can change the text sizing. Repeat Signage works with 100% and 125% settings. Repeat Signage continues to operate exactly the same as normal. 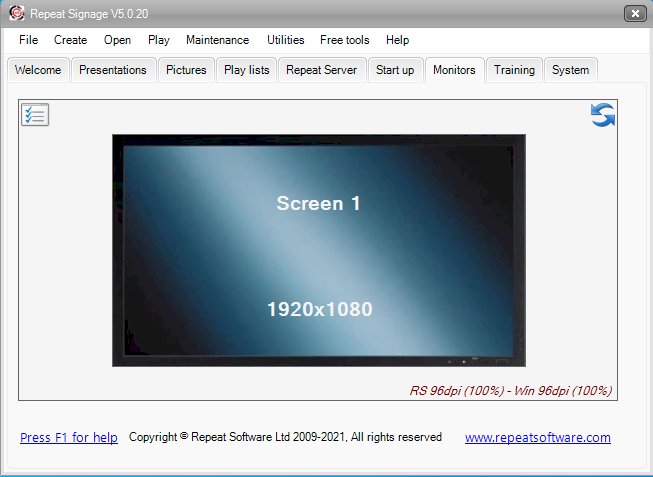 However a presentation created for this screen will be 1536x864 pixels, not 1920x1080. It will still play and if transferred to another Repeat Signage computer with a 1920x1080 monitor will play fine. However, when designing, you loose the ability to design pixel for pixel like you would if the text size was 100%. If you have this situation and want your text size to be 125%, we recommend that you change the system DPI, as per the instructions as the top of this page. Otherwise, drop you text size setting back down to 100%. There are no other known issues with Windows 10 and our digital signage software.